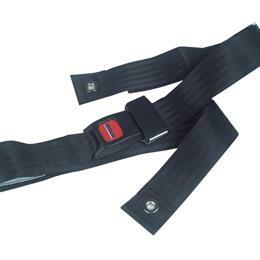 This Bariatric Seat Belt Auto Type Closure by Drive Medical can be used with all Drive Medical and other leading manufacturer wheelchairs. This Seat Belt closes like a car style seatbelt and can accommodate up to a 60" waist size. The Bariatric Seat Belt provides comfort, security and safety for users while in the wheelchair.